After a brief stint in Portugal as an English teacher, Rowling returned to England in 1993 along with her infant daughter. Her marriage to a Portuguese television journalist had lasted merely eleven months. With no job at hand and not much left in the name of savings, Rowling found herself in a tight situation. A mice-infested flat in Edinburgh became her home where she wrestled with poverty and depression while struggling to raise her baby daughter. Those days, her only source of income was the monthly welfare check that amounted to a meager 70 pounds. It was during those dark days of her life that she weaved the colorful, magical moments of the Hogwarts. The thread of a story that occurred to her a few years earlier during a train journey started shaping into the now famous Harry Potter novels. During the summer, to escape the hot dingy apartment, Rowling would spend her time inside the numerous cafes in the locality, sipping a coffee and working on her book while her baby daughter would sleep in a pram by her side. After she completed the first book of the series – Harry Potter and the Philosopher Stone – she sent it to three renowned publishers in Britain. All three rejected her manuscript. 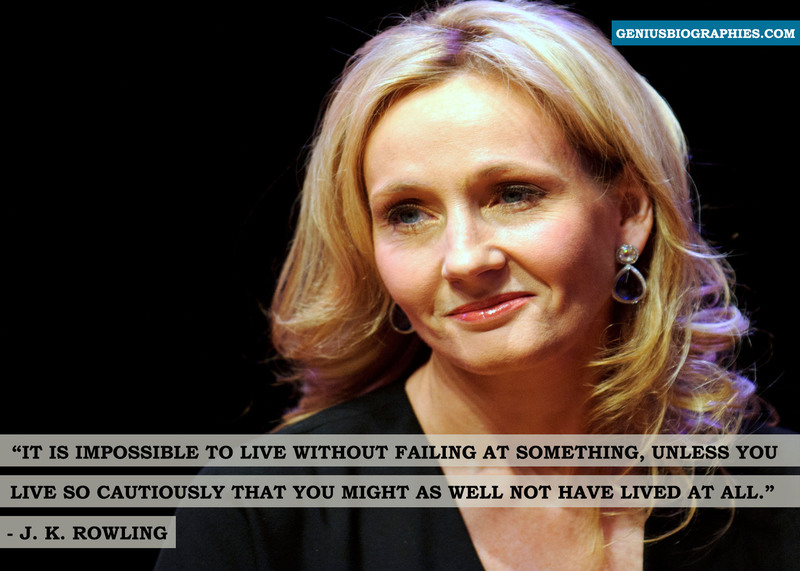 Rowling, who had once worked for a publishing house drafting rejection slips, did not lose her heart! She kept trying and finally signed a contract with Bloomsbury Children’s Books. The first Harry Potter book was published in 1997 and it became an instant success with children all over the world. The series became so popular that it has been translated to at least 67 languages. Her life is indeed inspirational and almost magical journey! Failures and struggles are the integral part of life. Failing doesn’t mean end of the world. It is just a phase that one has to go through. It is up to a person to make the most of what is available to them. One can choose to give up or keep trying to achieve the fairy tale ending.